In general, Illinois requirements for various corporate filings are similar to those found in most other states. This is especially true since the requirement for county recording has been abolished. (Previously, many corporate documents needed to first be filed with the Secretary of State and then a filed copy had to be recorded at the office of the County Recorder for the county where the registered agent was located.) 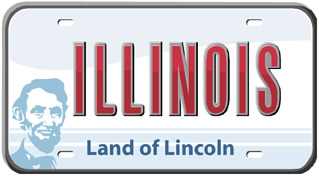 There are, however, a few unusual requirements in Illinois that are not commonly seen in most other states. When filing form 13.15, Application for Authority to Transact Business in Illinois, it is not always possible to know in advance what the cost to file will be. The fees, which include the filing fee, franchise tax and possibly penalties for late filing, are based on the paid-in capital for the corporation. Illinois’ “Guidelines for Application for Authority” defines paid-in capital as “the amount of money or other property paid to the corporation for, or on account of, the issued shares, less expenses incurred with the issuance of shares, plus any cash or other consideration contributed to the corporation.” If the paid-in capital is greater than $16,666, then an allocation factor can be applied to reduce the franchise tax based on the estimated value of the corporation’s property and business in the coming year and the estimated value of the property and business in Illinois. Corporations also may be assessed a penalty for late filing of the application. The Illinois Business Corporation Act indicates that a corporation that transacts business before filing the Application for Authority will face a penalty of $200 plus $5 per month or 10% of fees and taxes, whichever is greater. Because of the complexity of assessing these fees, the Illinois Secretary of State advises corporations wishing to apply for authority to submit the completed forms with accompanying documentation and then the state will compute and advise them of the filing fee. Another unusual requirement in Illinois is that certain parties to a merger must file a “Report Following Merger or Consolidation” within 60 days of the effective date of the merger. The report is filed by the survivor of the merger when that corporation is either an Illinois domestic corporation or a foreign corporation qualified to do business in Illinois. In addition to the corporate name and state or country of incorporation, the Report Following Merger or Consolidation requests information on the issued shares and paid-in capital for each party prior to the merger and the issued shares and paid-in capital of the surviving or new corporation. This report is filed whenever there is a change in capital or a change in the issued shares of a corporation listed on an annual report. When a corporation submits an annual report, the Illinois Secretary of State verifies the amounts listed for paid-in capital and issued shares to determine if they match what was listed on the previously submitted annual report. If a discrepancy is noted and the cumulative report was not submitted with the annual report, the Secretary of State will reject the annual report filing. The Report Following Merger or Consolidation and the Cumulative Report are not required in most other states. Both relate to ensuring that the corporation correctly reports its issued shares and paid-in capital following a change or merger, which is information the Illinois Secretary of State uses to determine franchise tax owed. The determination of this tax upon initial qualification of a foreign corporation, along with possible penalties for late filing, also makes the computation of the filing fees for registration quite complex. As you can see, Illinois’ manner of assessing franchise tax creates a few uncommon requirements of which corporations formed or registered in the state should be aware.